Africa Thisday’s Hall of Fame( ATHOF) is established to honour industrious sons of daughters of Africa who have stood out in their different fields of endeavor through self-empowerment and selfless service to their communities. 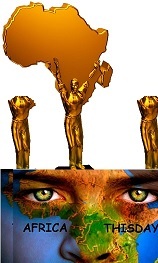 Africa Thisday’s Hall of Fame honors people who have made significant investments in the continent of Africa. We reserve the right to withdraw every form of honor given to any individual whenever the said individual gets involved in anti-African activities.